It’s amazing how much history is in each city of Morocco. 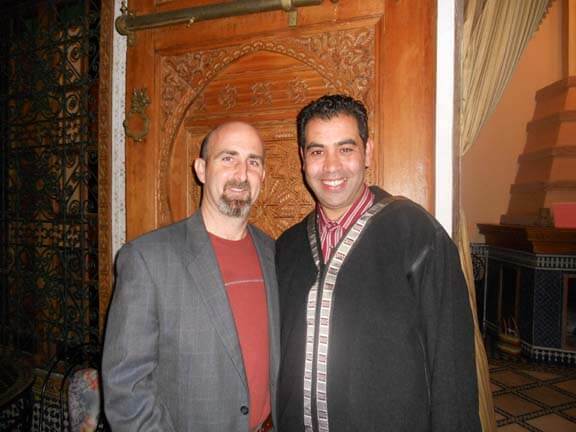 Fes, for example, has been around for over one thousand years. The stories and cultural meanings behind major buildings, mosques and schools, are hidden to visitors with no prior knowledge of Morocco. 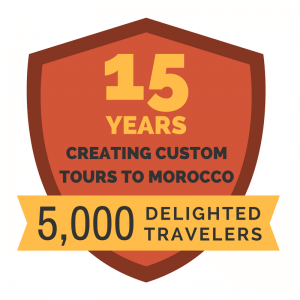 That’s why we advise taking guided tours of the main cities of Morocco. Your eyes will be opened to a wealth of knowledge that you would have never grasped on your own! It’s not that the sights of Morocco aren’t beautiful on their own – they are – it’s that they become so much more meaningful when you understand their context. We recommend getting a guided tour and being sure that your guide is licensed. 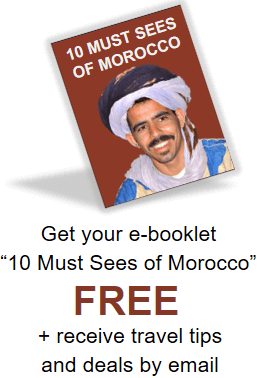 Most people in Morocco are so hospitable and kind, but there are a few who will try to take advantage of tourists by pretending to be guides when they are not licensed. The government of Morocco is cracking down on false guides, trying to protect the tourists that come to visit. Here are some steps that you can take to avoid false guides and some signs that should cause suspicion. 1. Book a guide with a travel agency with a good reputation. Check with them that the guide is licensed. 2. Ask to see a guide’s official badge. 1. Don’t give your name and hotel information out to strangers! There are some con artists who ride on trains pretending to be students. They then give your information to a friend who picks you up at the hotel the next day. It’s fine to be friendly, just avoid giving out personal details. 3. If the guide is not willing to walk with you, that should be a red flag. 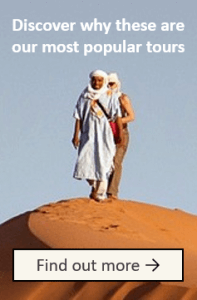 Only licensed guides are allowed to walk with tourists in the medinas of Morocco, so if they feel the need to stay ahead or meet you in a specific place, they are most likely trying to avoid the police. How does Experience It Tours operate? We often get asked if our private, English speaking drivers are considered as guides. They are not. Since most of our drivers are not legally licensed as guides, they cannot give tourists guided tours. That is why we have a full time English speaking driver who takes our travelers around the country and shows them Morocco through his eyes. We then have step-on professional, licensed guides in the major cities to give travelers the historical and cultural background of the city. We have found that this is an effective way to have travelers get to know one person well throughout their whole trip, while still getting the advantage of guided tours in each city! We only use licensed guides, so there is no danger of our travelers being taken advantage of at all.